Every person is different, and they each possess a different financial personality. If you and your partner disagree on financial aspects, this can translate to a difficult marriage. Here are some reasons why prenuptial agreements have become more popular and why it is a wise decision to look into one before you get married. Before you get married, it is important to discuss a few areas with your partner. Here are some question to consider; who will handle the finances in the home, who will handle the taxes and who is responsible for rental or mortgage payments. 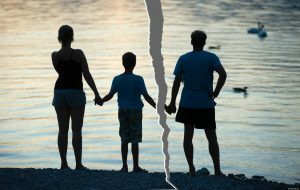 Once these issues have been discussed, look at what repercussions may occur if you are faced with a divorce. If you own a business, anticipate a large inheritance or your partner is in significant financial debt, you may want to consider a prenuptial agreement to ensure you a financially secure. It is important to note that if a prenuptial agreement does not exist the chances are that your assets will be split. Therefore, understanding how important your assets are to you is the first step to understanding if you need a prenuptial agreement. In a divorce, you will also be responsible for part of your partner’s debt after marriage. Therefore, if your partner is in debt and you are not able to cover this debt if the marriage ends in divorce, you should consider getting advice from a lawyer.